The yellow bar above the sky blue EXP bar is the new Ability Point (AP) EXP bar. This is also divided into twenty ticks, and you will gain 1 point once you fill all the 20 ticks. When you press the Soul Ability icon or press 'U', Essence window opens. 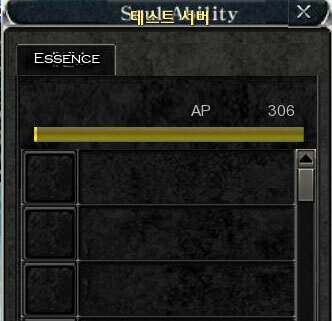 Here, you can find out how many Ability Point (AP) you have and the Essence Rune slots you can level. Ability Point (AP) accumulation works in a way after Lvl 120 via monster farming, mission wars/guardian grinding, and according to ranking in mission wars which will automatically go up in the waiting lobby. 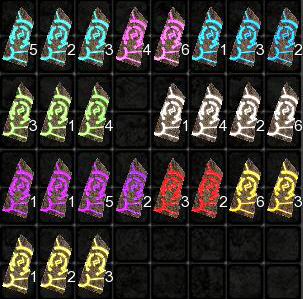 Right now, there are 26 Essence Runes in the update. A good option is to farm Ability Point since Ability Point requirement increases. You can register an Essence Rune by right clicking. 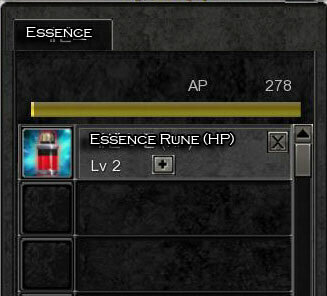 For test purposes, we registered Essence Rune (HP). The first registration requirement was Ability Point and two Essence Rune. To level it up, press the [+] sign. Conversely, you can delete unnecessary Essence Runes via [X]. Essence Rune Deletion - Unlike standard Skill deleveling, when you click X, you don't delevel an Essence Rune level, but you delete it permanently. You don't get your Ability Point (AP) refunded either. Be careful. 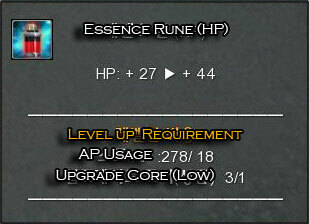 After registration, in order to level an Essence Rune, you must have the necessary amount of Ability Point and specific types of cores. Author finishes off by saying that it is dissapointing to see crit. dmg, rate, etc missing... but maybe they'll come on the next update.